Welcome to The Last Smith. This is a SlashBlade addon that adds more Blades,more Features,and more Stories in future. 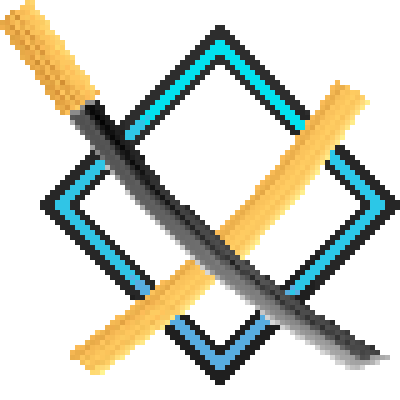 Use your Blades,to fight with stronger enemies. Enjoy your new weapons,and new journey. is there going to be some cross compatibility eventually added tot his mod to allow for some of these slash blades to be created via Kitsu's ForgeCraft? its literally a forging system for creating tools, weapons, ect. and i think it would just add more to the concept of "The last Smith" if there was some cross mod functionality to be included here. 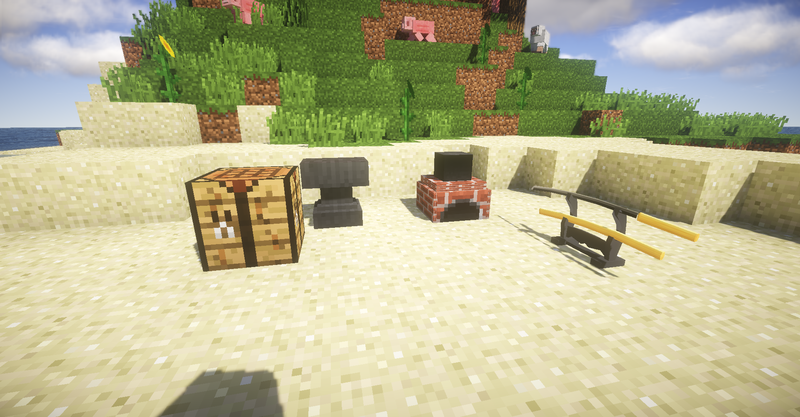 literally i think all you would need to do is create alternate crafting recipes using the materials added by Forgecraft to make the concept work. I love the original mod so much - it's the only thing that keeps me playing minecraft, so I am really glad to see someone else adding to it. That said, I have two issues so far. First, the textures are missing for the blast furnace chimney - it's a pink and black box on my build. Second, I think the crafting requirements for the Sharpness white are quite difficult, and get annoying quite fast. As someone who has used slashblade for a long time, and who often dual wields slashblades, it was downright painful to make two of them. I'm still venturing into your mod, and I'll be happy to post feedback as I go. Own-Ordinary- and -Destiny- cannot be crafted in both survival and creative, of course the Blade at the center satisfies required numbers for Kill count, Proud soul and Refine and recipe is in the same way of shown in JEI. Are there any other required conditions? Or these Blades are not implemented now? This add-on adds cool progresses to smithing and has strong Blades. But it is a bit disappointing that strongest one is unobtainable in survival. Can you fix the recipe? Thank you for fixing the recipe! The smithing part is really neat, however I can't find a way to get the blast furnace chimney. Is the crafting recipe simply missing or is there another way of obtaining it? There are also two recipes for the blast furnace, maybe the one with the three iron blocks is supposed to be the chimney? Also is the item sakura obtainable via a non-crafting method or not obtainable at all in survival yet? Sakura need to killing mobs with TLS's named blade. What do you mean with "TLS´s named blade"? Er...... Yes, it's a problem. Loving the mod so far, but I've got a small request: can you add the option to remove the blast furnace? I have some other mods with their own steels and don't want players to skip progression. NO,because we will use blast furnace in other materials' recipe. But we will add some check to check whether we need to add TLS steel's recipe. Actually quite good addon. Logical and expanded. But i got one TINY request... make ingame manual plz. Sure,it will be finished soon. Well then, may i ask for one more favour? You know how recipes in main mod "Slash Blades" are all messed up? It's so unclear what blade you can use in what recipe. Can you fix it? Fix all original recipes. Could you post some pictures?I don't know what happened. And this addon change some early original recipes for more harder modded playing. Many original recipes got unclear representation of what blade you need to use in recipe. For example, you got "Yamato" blade. 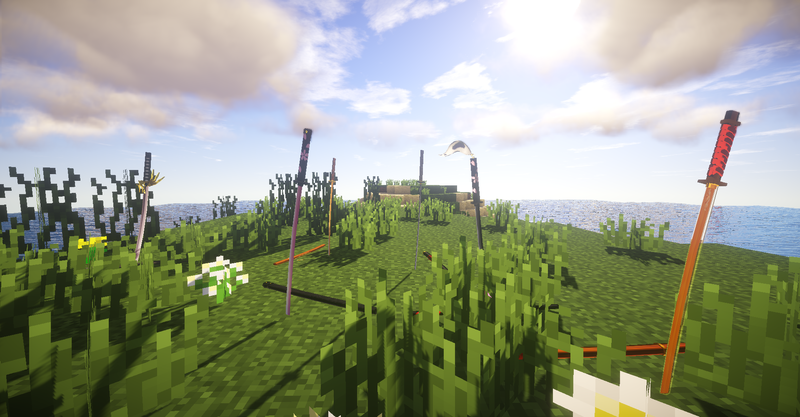 If you check recipe for Yamato in JEI, you will see you need 8 proud soul around, and 1 blade in center. But in JEI this blade will change rapidly to all sorts of blades. Looks like you can use ANY blade to make Yamato, wich is not true. If there any way to fix so only "broken" Yamato can be used in Yamato-o-o recipe? That's only an example, there are many recipes got this issue, where you can see all sorts of blades can be used in recipe. I'm sorry,this qustion has been confirmed many years ago. And I can't fix it......because it's too difficult for me and original arthur. Maybe I will write these recipes in new ingame manual,and new blades' recipes.